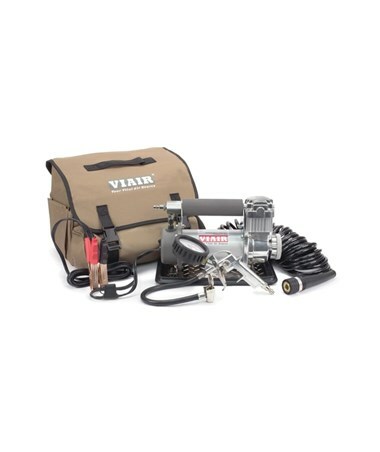 The Viair 400P Automatic Portable Compressor is the first Viair’s compressor with automatic shut-off function. It comes with an onboard pressure switch that allows the compressor to run until an internal pressure of 155 PSI is achieved at which point, the compressor will shut off and restarts when the internal pressure drops below 130 PSI. It is ideal when moving from tire to tire, and when checking tire pressure in the middle of a tire fill. The Viair 400P Automatic Portable features a 150 PSI maximum working pressure with a 33% duty cycle and 2.30 CFM flow rate. It can be operated up to 40 minutes and can inflate up to a 35-inch tire from 0 to 30 PSI in less than 5 minutes. It also features thermal overload protector which protect the compressor from over-heating and causing permanent damage. An inline 160 PSI gauge and a 40A inline fuse holder are included with this 12V compressor. For added convenience, this compressor comes with a close-ended gas station-style air gun. This compressor comes equipped with a permanent magnetic motor with a maximum amp draw of 30 amps. For accurate readings, this compressor is equipped with a vibration-resistant, diamond-plate sand tray. It is also moisture and dust resistant with an IP54 rating and comes with a heavy-duty bag for portability. 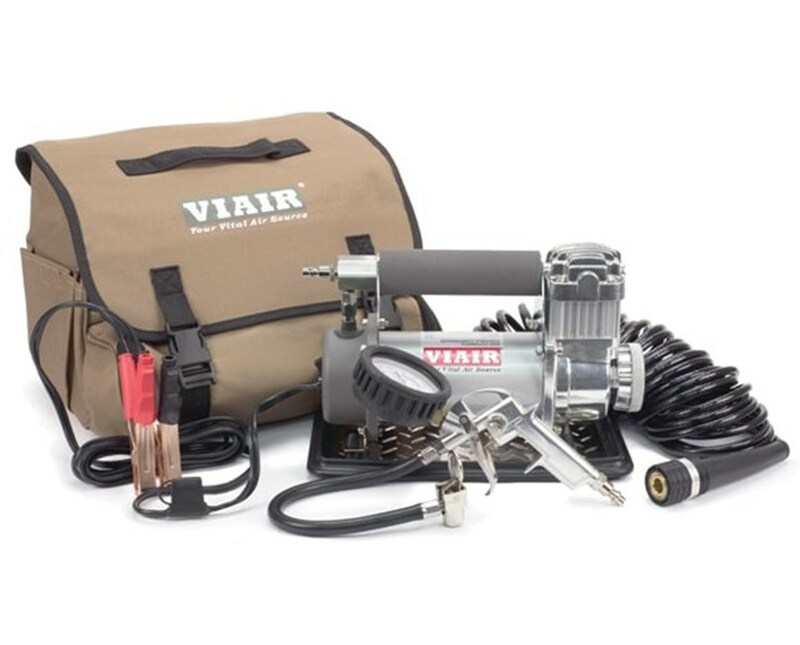 The Viair 400P Automatic Portable Compressor comes backed by a 1-year manufacturer’s warranty.